Tricentis Cloud Repository (TCR) makes it easy for remote teams to collaborate on the same test automation projects. You can plan, create and execute your tests from a common repository hosted on Tricentis Cloud. What is Tricentis Cloud Repository? 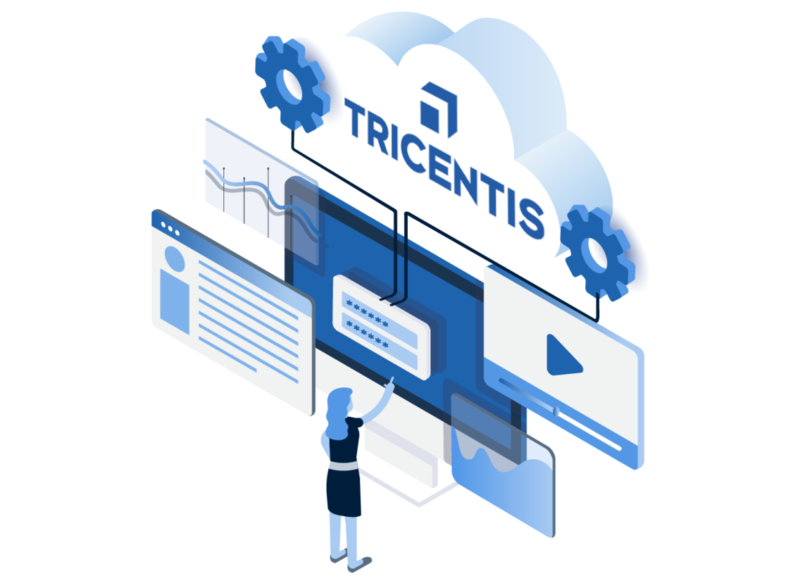 Tricentis Cloud Repository provides an on-demand, Platform as a Service that gives you the fast performance, high availability, security and compatibility you need to manage workspaces remotely without the hassle of providing your own database infrastructure. TCR is compatible with all your Tricentis products and gives you a simple web-based platform to manage your projects. You can use the TCR migration service to easily migrate your existing common repositories to Tricentis Cloud. TCR runs on the same highly reliable infrastructure used by Microsoft Azure. When you create a test automation project in TCR, your data is replicated synchronously to a standby region for high availability. TCR also leverages other reliability features such as point in time backups and geographic redundant services. TCR provides regional access to service infrastructure and storage ensuring that you get the fastest speed possible with low latency endpoints. With intelligent syncing of test automation assets, TCR provides a great user experience as your test portfolio grows in usage and complexity. TCR has extensive security built-in to protect your test data. TCR provides secure access through OpenID Connect/OAuth 2.0 over HTTPS for data in transit and data is stored encrypted. Operating systems and applications are maintained in a security-conscious manner, taking advantage of advanced intrusion detection technology to include minimizing the attack surface and least privileged access. TCR provides a flexible pricing model, which is pay-per-use based on the number of users and projects being used for test automation. Tiered volume and long-term discounts are available. TCR helps you shift capital expenditure to operational expenditure by removing costs of provisioning and maintaining expensive database infrastructure. The Testing Consulting (TTC) is a leading quality assurance and testing solutions company with a global team, who specialize in QA consulting and engineering. TTC have been using the Tricentis Cloud Repository (TCR) to help develop and test a Robotic Process Automation Studio by teams in Austria, Vietnam and New Zealand. TCR allows the teams to seamlessly collaborate on the same test automation project word wide. Tricentis Cloud Repository provides the most flexible integrations across your Agile and DevOps tool chains. Whether you’re testing web, mobile or client applications, qTest has you covered with the most popular integrations in the industry. What network connectivity do we need? You will need a stable internet connection with recommended latency < 100ms and sufficient bandwidth > 10 Mbps advised. Outbound connectivity to Microsoft Azure regional endpoints on port 443 (HTTPS) is required. TCR provides regional access to endpoints in North America, Europe and Australia, based on Microsoft Azure global region support. What backup of data does TCR provide? TCR provides automated backups with a point in time restore to any point within 35 days. How is data encrypted in transit / at rest? Data is encrypted via OpenID Connect/OAuth 2.0 over HTTPS in transit. Transparent data encryption is used for data at rest. TCR uses compute and storage resources available for elastic pools with Microsoft Azure SQL Database. TCR uses a tenant identifier to route your users to their own database which ensures that the given tenant can only access their own data. Can I set TCR up on my own infrastructure or cloud provider? No, TCR is available only through the Tricentis Cloud offering. What is the maximum size of a project you can support? Planning figure is up to 40GB of storage per project, although up to 1TB per project can be provisioned at additional cost to customer. On average, our customers’ projects are 2-3GB in size. What is the maximum number of users you can support? Each project can comfortably support 100 users or more. Higher capacity infrastructure can be provisioned at additional cost to customer. What Tosca components work with TCR? All Tosca components that work with a common repository can function with TCR. This includes Tosca Commander as well as on-premise server components such as Tosca Analytics, Distributed Execution, Exploratory Testing, REST API, and Test Data Service. I already have a common repository on-premise, can I use that on Tricentis Cloud? TCR offers a migration tool to easily move your existing on-premise database to Tricentis Cloud. Pricing is calculated as an annual subscription, based on the number of Tosca users accessing the project and the number of projects you wish to support. The minimum subscription size is 5 users with 5 projects with custom subscriptions available. Significant discount is applied to multiyear subscriptions with tiered volumes discount for higher use. Yes, we provide a free trial which includes access to 1 project up to 100MB in size for 2 users for 30 days.